Strengthening the craft culture in Chicago during a time of change has been important for one wholesaler. A large wholesaler in Indiana has sharpened its focus to assemble the right sales team and individualized the planning process for brewers of different capabilities and expectations. In the Northeast, wholesalers are showing craft brewers how to be successful in chains. 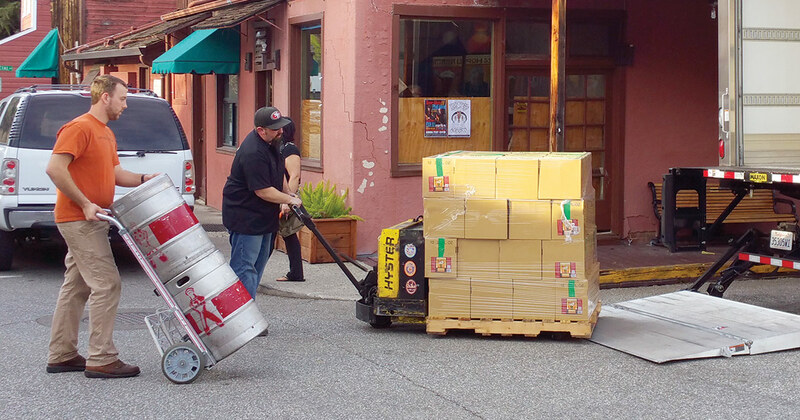 Commitment is crucial for independent craft brewers inside AB InBev distributors in California. Mergers and acquisitions are commonplace in business, and they’re often fraught with anxiety that the culture of an organization will be compromised. However, the acquisition of Chicago’s Windy City Distributing by Reyes Holdings in December 2012 allowed Wesley Phillips’ team to focus its efforts and attention on its most valued asset: its people. As the ongoing challenges to meet demand from a logistics and operations standpoint were mitigated, Windy City’s sales team was given the opportunity to expand. Since January 2013, when the company hired its 13th sales rep, the team has grown to more than 50 people. The fast growth has not been without its challenges. Phillips, the director of business development, cites the process of onboarding and the time it takes until reps are working autonomously as two obstacles to overcome. Phillips also acknowledges the importance of fully training and integrating new employees. But a crew known for its passion and knowledge has become a team that others want to work with as well as an important recruiting tool. In addition to the sales team’s growth in numbers, effectiveness has increased, aided in no small part by the additional tools and systems the Reyes group brought to the table. Chief among those—and supporting Phillips’ theory that Windy City’s people are a crucial component to the company’s success—is more hands-on management and development of sales reps. While the company typically hires from a deep pool of applicants from within the industry, it has created a farm system of sorts for reps to study and hone their skills selling to chain retailers before moving into the general market. This allows them to cut their teeth, learn how to create their own business plan (in addition to the one they’re given) and, critical given the depth of Windy City’s portfolio, add the all-important skill of portfolio management. As Windy City has demonstrated, an organization’s established culture can flourish given the opportunity to concentrate effort on strengths once weaknesses have been addressed. The sales operation of Indianapolis-based Monarch Beverage Company delivers an average of 60,000 cases to retail every day. 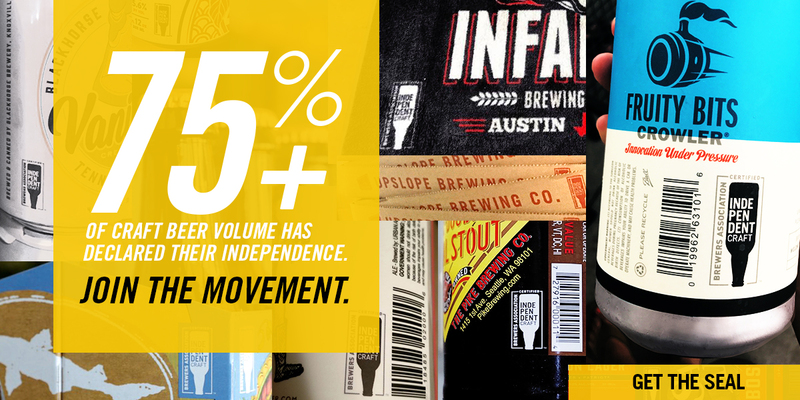 It distributes more than 500 brands of mega brew, independent craft, cider, and wine. The warehouse encompasses more than 500,000 square feet. It not only houses product, point of sale, and staff, but also contains medical and pharmacological services. As a plank of its sustainability efforts, Monarch also operates a CNG (compressed natural gas) station on the property. The organization is very active in its community and even operates its own charitable foundation. On top of all of this, Monarch still manages to be one of the most highly regarded stewards of independent craft brands in the industry. How do they do it? It’s no accident, explains Scott Shipley, senior vice president of Monarch. How is the wholesaler able to give each supplier, no matter its size, the focus it deserves? In short, it comes down to three specific efforts: planning, training, and execution. Planning will always be the cornerstone of a successful sales process. The Monarch brand management team works with every supplier to co-author a plan that contains mutually-agreed-upon distribution, volume, merchandising, and marketing goals. To aid in brand planning, Monarch has gone as far as hosting a roundtable for the local brewers it represents as an instrument to share ideas on everything from product quality to go-to-market strategies. The success of these meetings is contingent on the level of work put into them. Brand managers and suppliers will plan by SKU granularly down to the channel and route levels. By co-authoring the plan, the group’s final agreement not only identifies the targeted goals, but does so in a manner true to each brand’s identity and target demographic. After healthy back and forth, supplier and distributor leave with a mutually beneficial plan with execution elements owned by all parties. The training program at Monarch—or, to borrow from their own vernacular, Monarch University—provides a framework for everyone in the sales function to sharpen their skills. Like many distributors, Monarch trains all of its team members in the Cicerone® Certified Beer Server program to provide them with basic beer knowledge. Additionally, it offers a continuing education platform to bring team members up to Certified and Advanced Cicerone levels. Beyond that, Monarch provides ongoing training in all of the elements of the sales process. In addition to selling the beer on its intrinsic attributes, team members are taught how independent craft fills retailer needs in a way that not only perpetuates a more enjoyable experience for the beer lover, but is also more profitable for the business. Monarch has the scale to operate with a dual sales force model. The Monarch general sales force focuses on suppliers like MillerCoors and on regional craft brewer brands such as Sam Adams. The World Class Beer (WCB) sales team focuses on smaller-producing independent craft suppliers. The WCB employs a team of craft beer experts/enthusiasts that both incubates and curates brands to deliberate, long-term growth. This team is deployed against the most craft centric channels (in Indiana, liquor and on-premises). In peak periods, the sales teams will collaborate on promotional pushes in different channels. For example, the WCB team will support the Monarch team in the grocery channel with displays and tastings at Christmas time. The winners in this collaboration: independent craft and the consumer! WCB is focused on craft as a profit-driven sales solution, and its goal is simple: to grow a brand to the point that it has to be moved to the Monarch general sales team. A key to commercial success for many brewers is building their brands in chains. Achieving success in the supermarket, club, convenience, mass merchandise, drug, and liquor channels requires brewers to execute specific tasks on a regular basis, including submitting new item requests, monthly pricing, programming recommendations, and sales summaries. Executing these tasks perfectly in line with category managers’ requirements will set brewers up for success. For breweries, working with distributor partners to complement ongoing efforts is immensely critical to success in chains. DeCrescente Distributing Co. represents a large portfolio of domestic, import, FMB, and craft brands in the Albany, N.Y. area. Mark Ott, who served as the director of national accounts prior to his current role as director of marketing, has seen firsthand what it takes to be successful. On the retailer end, it’s important to simplify everything for the buyer. Some buyers will try to scare reps away, with only the best surviving and thriving. Send proper pricing, on the proper form, in the time period requested. The reps who submit paperwork correctly and become someone whom buyers can count on are the ones they will want to work with. 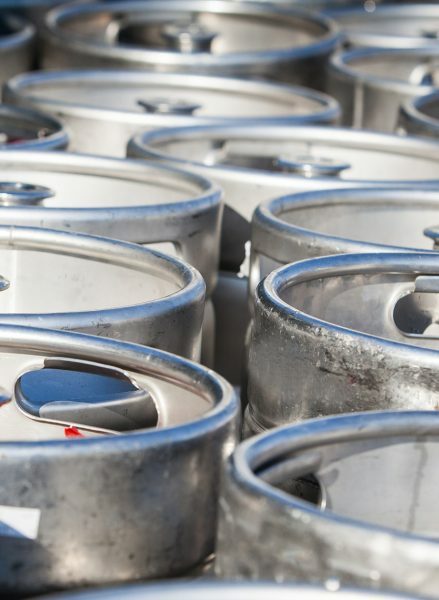 Brewer and distributor planning needs to work within a retailer’s cycles. Many believe the next frontier of craft growth will come in the convenience store channel. Ott advises that it is crucial to understand how craft brands fit into a convenience store’s business. While craft is growing rapidly, it is still a very small share of total sales. “Our job is to show retailers there is a need for our brand, including identifying the proper package and price point that will drive sales and profits,” said Ott. One area of opportunity in convenience stores and other channels is craft cans, which have been experiencing tremendous growth over the past few years. One key area that continues to evolve is the need for providing buyers with market analysis based on syndicated data. As data becomes more widely available and chains become more sophisticated, some buyers no longer expect full industry data during each meeting. Instead, they expect brewers to show why their brand is an important part of their business. Brewers need to show where their brand is selling well and how it will contribute to their growth. Packaging should be considered in regards to a retailer’s ad, pricing, and package strategies. Distributors and retailers have more choices than ever in determining which supplier partners to get behind. While they undoubtedly do their best to help all brewers achieve their goals, the brewers who provide the support to achieve those objectives are the ones who will get a little extra share of mind. Finding success in chains is a challenging but crucial part of many brand growth strategies. Brewer and distributor alignment on priorities, packages, pricing, and programming is key to showing chain buyers a unified message that will ultimately help them grow their total beer category sales. How committed are Anheuser-Busch InBev wholesalers to craft beer? Consider the costs of doubling cold storage, installing new racking systems, and automating inventory. Some AB InBev wholesalers have completely changed their internal sales culture from a merchandising sales-focused machine to a truly beer-educated holistic view. Peter Heimark, of Triangle Distributing and Heimark Distributing, has found that having a diverse portfolio that includes quality independent brands makes for more motivated staff who get more out of their job. 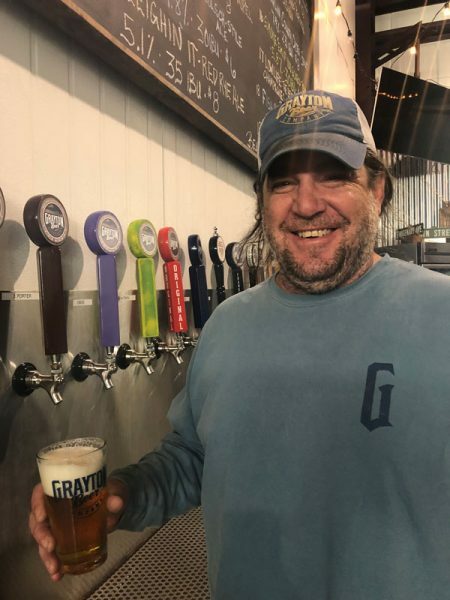 When sales staff enjoy one-on-one relationships with the brands and brewers, it goes a long way with employees and creates a community that can sell beer from more angles. “The silver lining is the price points,” according to Heimark. Craft beer makes money. It’s sometimes more work and requires more care but, given the same margin as Anheuser-Busch InBev product with the higher prices of craft, translates to more dollars per delivery. Independent local brewers with efficient allocation systems and strong local connections are valuable to Triangle and Heimark because they can work in concert to keep product in the market and turns high. Of course, many accounts cater to a specialized consumer who wants only independent craft brands, not big brands or Anheuser-Busch InBev “craft” brands. They might not be the meat of the market, but they have a cascading influence on local beer communities. In order to create and maintain a strong brand image for Triangle or Heimark as wholesale houses, it is critical to be able to satisfy these customer needs. This article was written by Anna Nadasdy, Great Divide Brewing; Archie Gleason, Abita Brewing; Jon Schwartz, Harpoon Brewery; Evan Weinberg, Cismontane Brewing; members of the market development committee, as part of the BA Insider—a free email publication sent quarterly by the Brewers Association. Each issue covers topics relevant to craft beer distributors.